Apart from Star Trek (2009), there hasn’t been any great science fiction movies. I’m going to see Inception, but that is more fantasy. 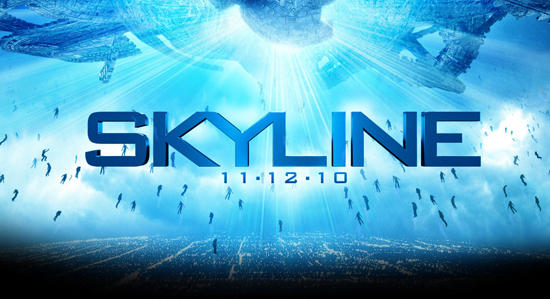 I am cautiously awaiting the release of Skyline this November 25th. From what I’ve heard it appears to be a mixture of The Mist, V and Independence Day. The cast seems interesting and so does the premise of the film. Skyline stars Starring Donald Faison, Eric Balfour, David Zayas, Scottie Thompson and Brittany Daniel. 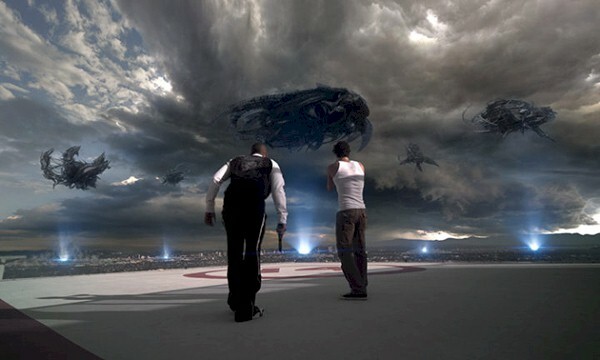 Casting Donald Faison as a lead is what leads me to believe this movie will have the wit and humor of Independence Day. He can be a funny guy, but can he muster great one-liners like Will Smith? Perhaps it is because I was a child, but I really miss the sci-fi of old. The movies that made my jaw drop or inspired me to wonder in awe. Unlike most science fiction fans, I DO NOT believe in intelligent extra terrestrial life. Heck, as I’ve said before; there isn’t much intelligent life on this planet! I don’t have to believe in aliens to like sci-fi but what I want is good sci-fi! I do believe there is life out there. Plant life or microscopic life, but there are no aliens visiting us. I guess it’s because I don’t believe in alien life that feeds my love and lust for great science fiction television and movies. Please, please let Skyline be a good movie. Live long and prosper guys! force threatens to swallow the entire human population off the face of the Earth. You are currently browsing the archives for the Skyline category.